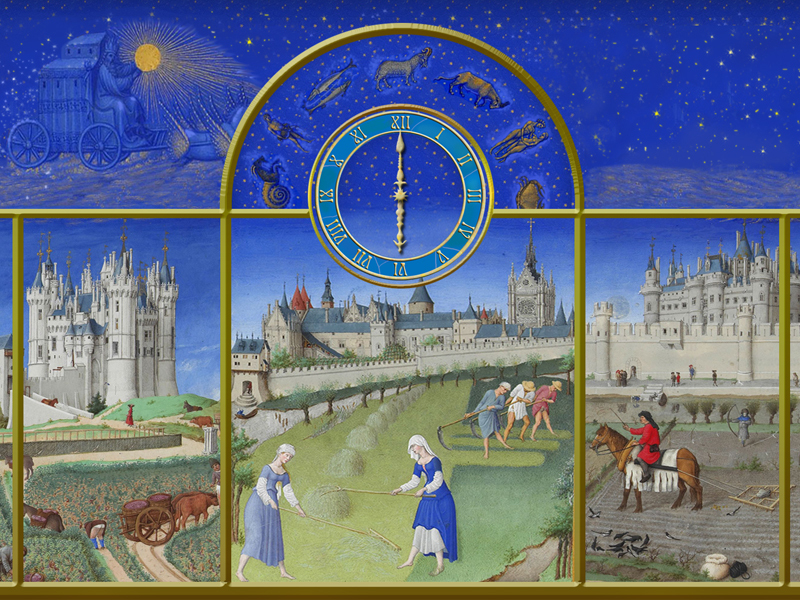 7art Middle Ages Clock screensaver - reveal one the most fascinating pages of World Art. 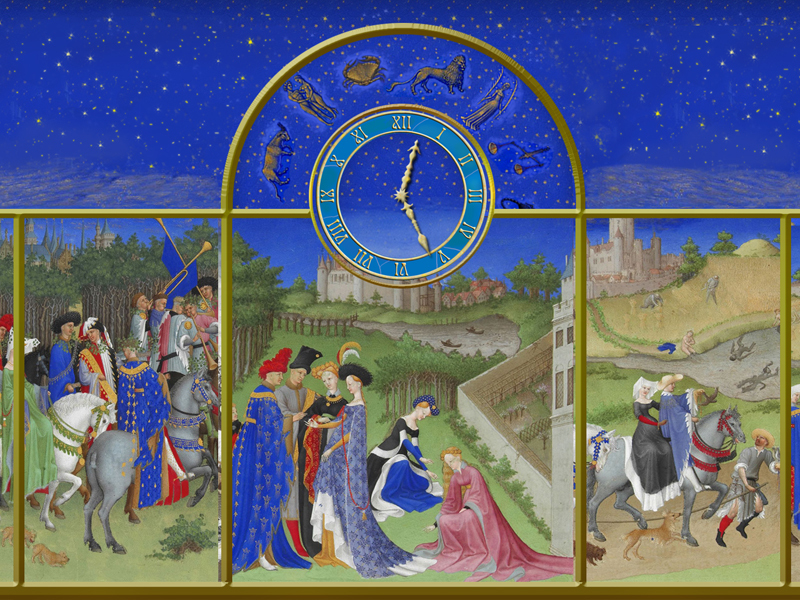 Middle Ages Clock opens one the most fascinating pages of World Art. You touch a mixture of religious and zodiac symbols and watch pictures of Medieval social and folk life as reminiscences of great artists. 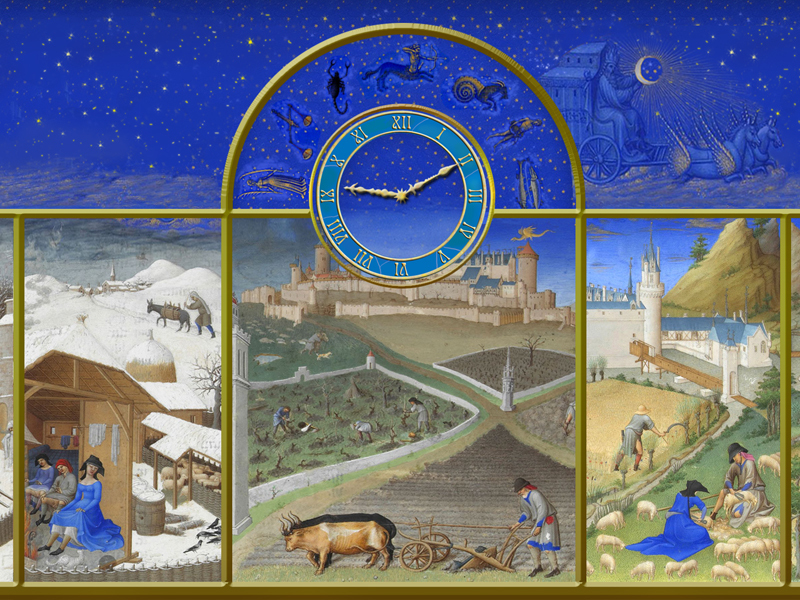 Reveal one the most fascinating pages of World Art with new Middle Ages Clock! Touch a mixture of religious and zodiac symbols! A must for an art lover!